Ronan Tynan is a modern day renaissance man, whose personal story of triumph and impassioned singing inspires audiences. In spite of having both legs amputated as a result of a car accident, Ronan has won 18 gold medals and set 14 world records in the Paralympics. A natural born storyteller, and gifted with humour, Ronan’s message empowers audiences to overcome adversity, take risks and achieve peak performance. 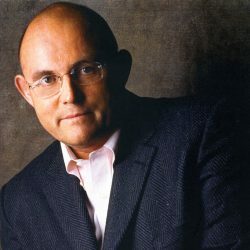 Irish Tenor Dr. Ronan Tynan is a modern day renaissance man. Raised on a dairy farm in Kilkenny, Ireland, his personal story of triumph and his impassioned singing inspires audiences. 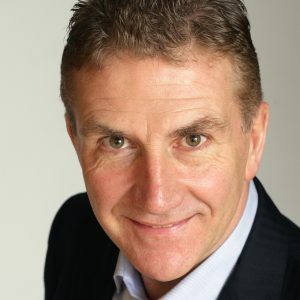 A natural born storyteller, and gifted with humour, Ronan’s message empowers audiences to overcome adversity, take risks and achieve peak performance. Born with a lower limb disability, Dr. Ronan Tynan, was “as wild as a March hare” as a young man, riding horses and racing motorcycles. While being the first disabled student admitted to the National College of Physical Education in Limerick, Ronan suffered complications from an auto accident resulting in his legs being amputated at age 20. Just weeks after the operation he was climbing the steps of his college dorm. Within a year he was winning gold medals in the Paralympics. Between 1981 and 1984 Dr. Tynan amassed 18 gold medals and set 14 world records. Following a dream, Dr. Tynan pursued medical school at Trinity College. During his residency as a physician specializing in orthopedic sports injuries, at the age of 33, he began formal voice study. With encouragement from his colleagues he not only entered Go for It, a televised BBC singing competition, but won! Selected to be a member of the Irish Tenors, Dr. Tynan was introduced to international audiences and has become known for his unique voice and irresistible appeal. Acting on his mother’s advice, Dr. Tynan went on to launch a solo career. He has achieved success that could have only existed in the farthest reaches of his dreams. Dr. Tynan continues to tour with the Irish Tenors and as a solo artist. He is the Alltech Artist in Residence at the University of Kentucky Opera Theatre and is one of the most sought after motivational speakers. Profiled in the United States on television’s ABC’s 20/20 and PBS Sunday Morning, Dr. Tynan moves people like few others can. His ability to easily connect with audiences along with his inspiring message about overcoming obstacles and living life to the fullest promotes ways to reach new heights both professionally and personally. Ronan is based in the US.